i wish, i truly wish, i could own the recipe below because it looks so damn good! but...it's all katie. my angels are not just smart and beautiful but devoted to clean healthy eating and exercise. like i said, i wish i could own this recipe but clearly my angels could teach me a thing or two. this recipe just makes the learning curve that much easier! while it's still over 80 degrees here in malibu, we're yearning for a taste of fall. 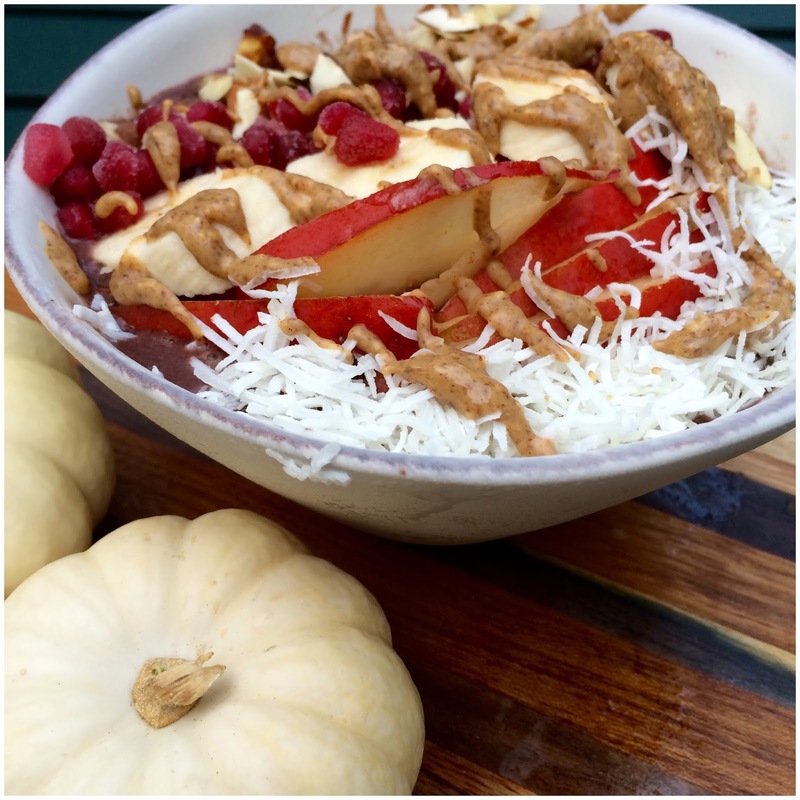 this acai bowl (or, "a-kai" bowl, as we're calling it!) 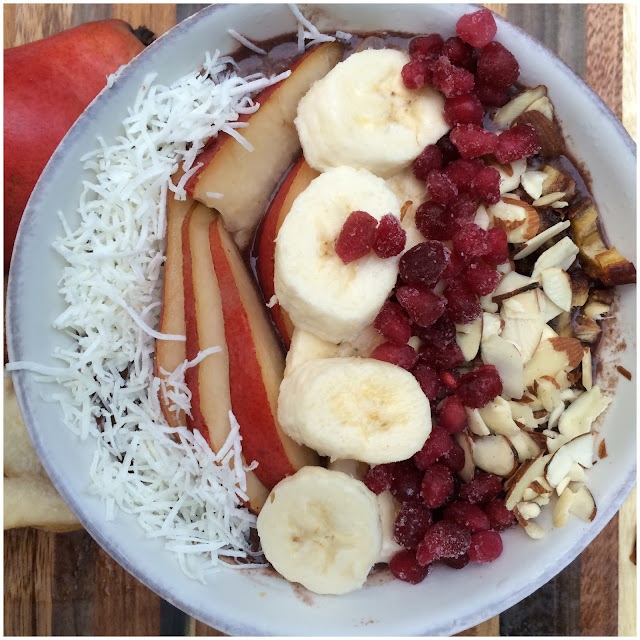 is the perfect breakfast to keep us cool until the temperatures drop. 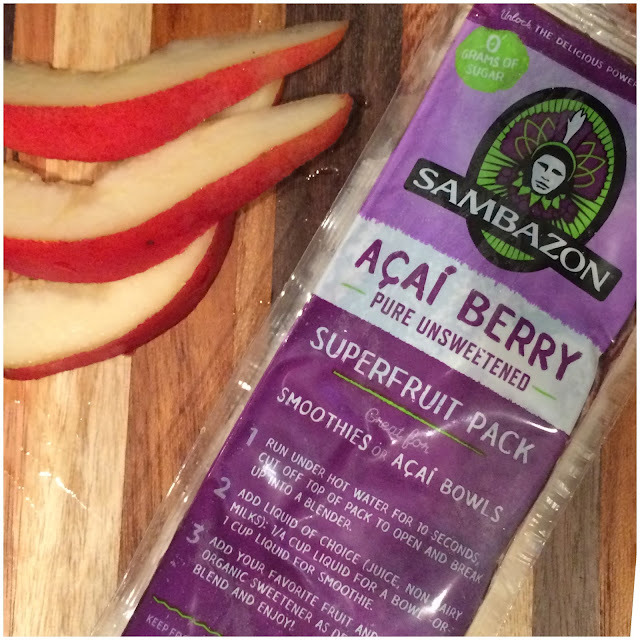 packed with antioxidants and fruit, it will keep you fueled during this busy time of year and have you looking forward to breakfast. the best part? the toppings and mix-ins are totally customizable. for this autumn bowl we used tart pomegranate seeds, juicy pears, and a drizzle of maple almond butter, but a crunchy fall granola or fresh figs would work wonderfully as well. dig in! puree acai frozen packets, almond milk, frozen banana, and vanilla extract in a high-speed blender until smooth and creamy. serve immediately into a bowl and top with banana, pear, coconut, dates, almonds, and pomegranate seeds. 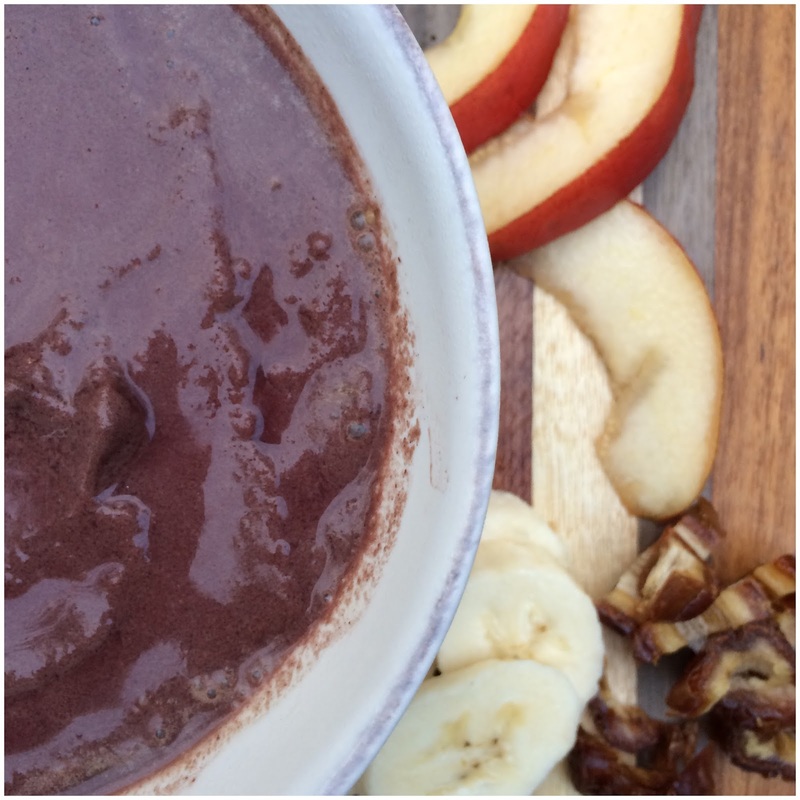 drizzle generously with almond butter and enjoy!